Mia and Aaron knew exactly what they wanted when they started planning their wedding. As it was both of their second marriages, they really wanted to do something this time around that was just about them, and their love for one another and their family. 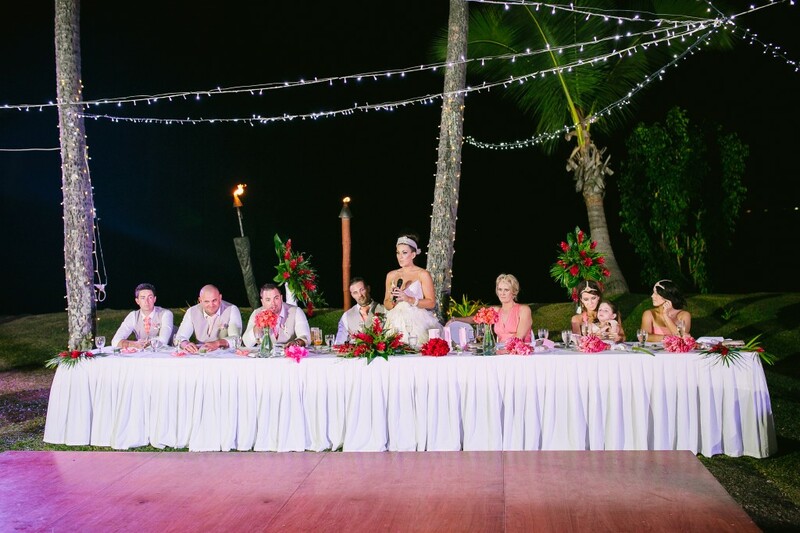 Mia says ‘We loved the idea of a destination wedding, so we could combine it with a family holiday at the same time with our 3 beautiful children – and as Fiji was somewhere we had travelled previously and loved, we thought it would make the perfect backdrop to our magical day’. 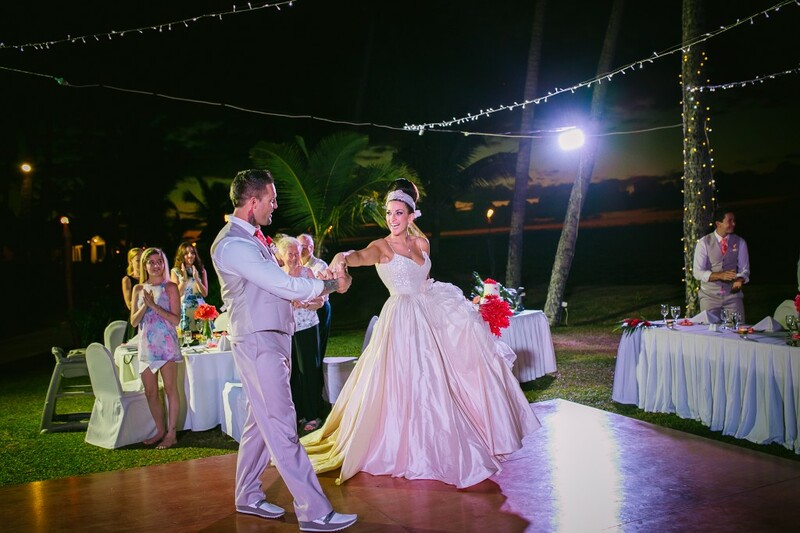 To help create the perfect celebration, Mia and Aaron didn’t hesitate in hiring a wedding planner to assist them. With both leading very busy lives and Mia having planned her first wedding without the help of a wedding planner, she knew that this was something that would make the whole process smoother and a lot less stressful. 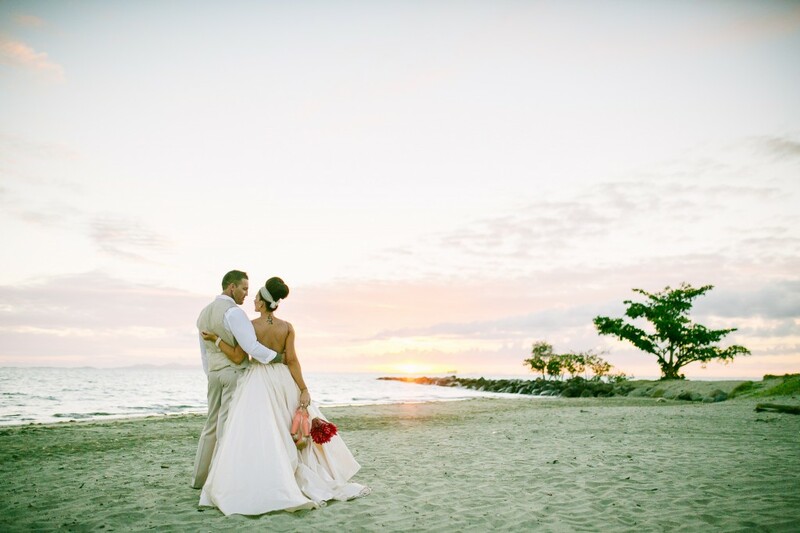 She told us ‘We decided to invest in a wedding planner, and one that specialised in Fiji weddings in particular, and it was one of the best decisions we ever made in the planning of our wedding. It took a lot of stress and worry off both of our shoulders, knowing that Chelsea had absolutely everything under control’. In the days leading up to the wedding, Mia, Aaron and their guests made the most of the location with a big emphasise on relaxation, something they don’t get to do very often. They enjoyed sipping cocktails by the pool and lazing about on the day beds. Mia also enjoyed a full body massage the day before the wedding, the groomsmen attempted a spot of fishing and the children loved visiting the kids club. 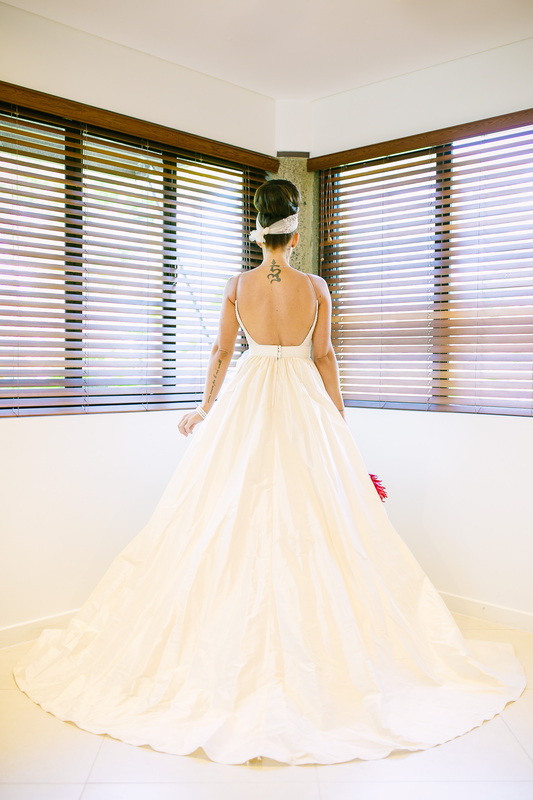 The big day finally arrived and Mia looked simply stunning in her custom made Elizabeth De Varga Gown. The bridesmaids wore the most amazing coloured coral coloured dresses from Two Birds Bridesmaids. 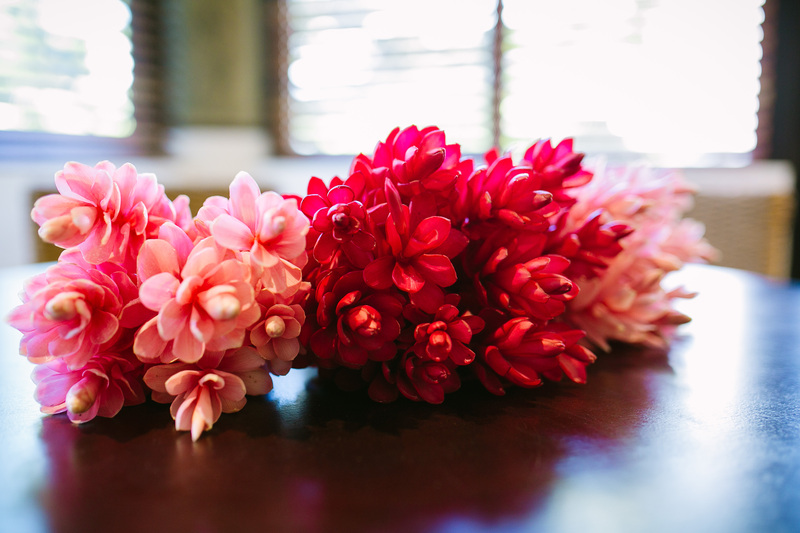 The bouquets were Dark Pink Gingers for the bride and Light Pink Gingers for the Bridesmaids. 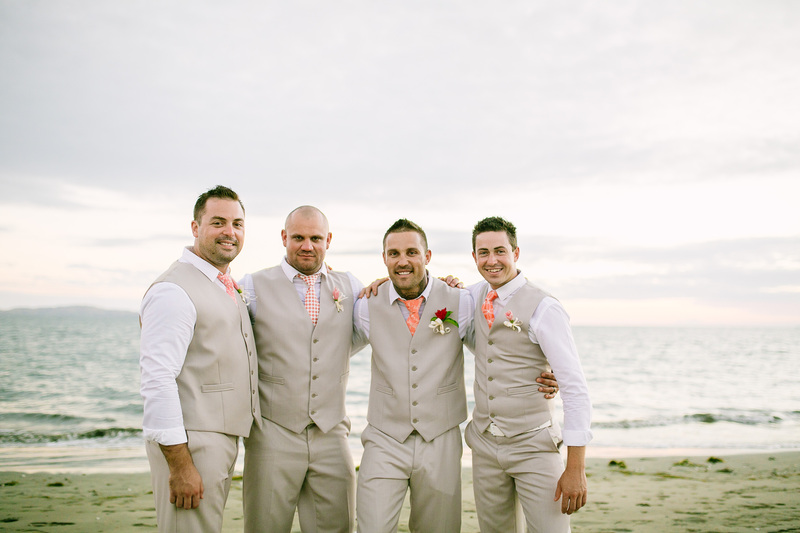 The men all looked fantastic in their suits from Roger David. We love the pops of colour from the ties against the suits! The ceremony was held in the Chapel on the beautiful grounds of the Sheraton. With the sun setting and the fairy lights twinkling in the trees, the guests made their way to the reception which was set up on a grassed area right on the ocean’s edge. What a magical setting! Mia and Aaron were so happy with how everything went on their wedding day with only positive feedback about the whole experience ‘Even though some things didn’t always run according to plan, there were never any issues as with the help of Chelsea (in the lead up) and then, with the beautiful wedding co-ordinators at our resort, everything was seen to and adjustments were made seamlessly and effortless’. 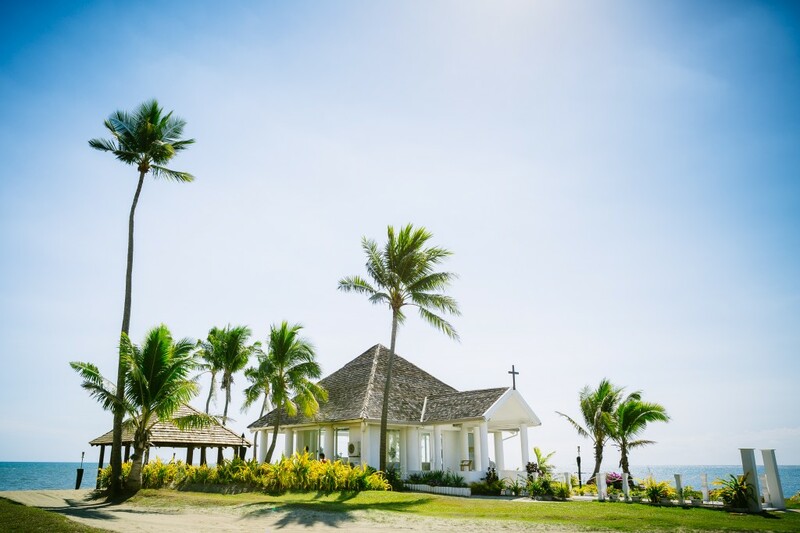 When we asked Mia to choose a highlight from her day she found it hard to choose just one and said ‘The whole week spent in Fiji was just perfect. Not only did we have a wedding day, but we got to have a wedding week shared with our most closest and dearest friends and family’. 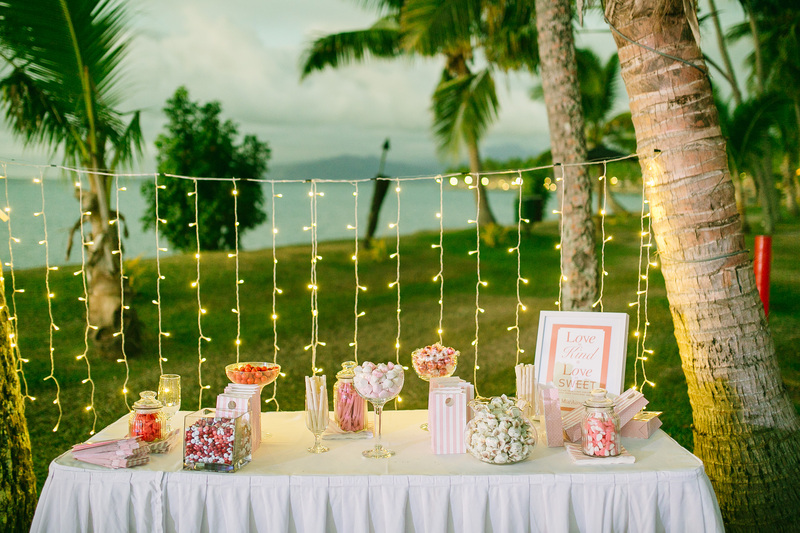 Finally, Mia gave couples planning a wedding in Fiji some great advice ‘Trust in your wedding planner – she has done this more times than you count on your hands and toes. 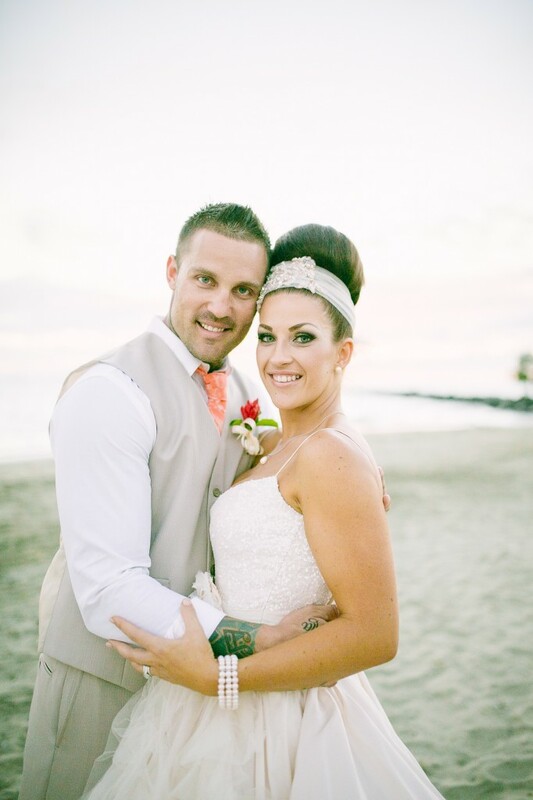 The relationship that Chelsea has with the Fijian wedding suppliers is invaluable, and knowing that she was able to help create for us what we had envisioned for our magical day is priceless!’. 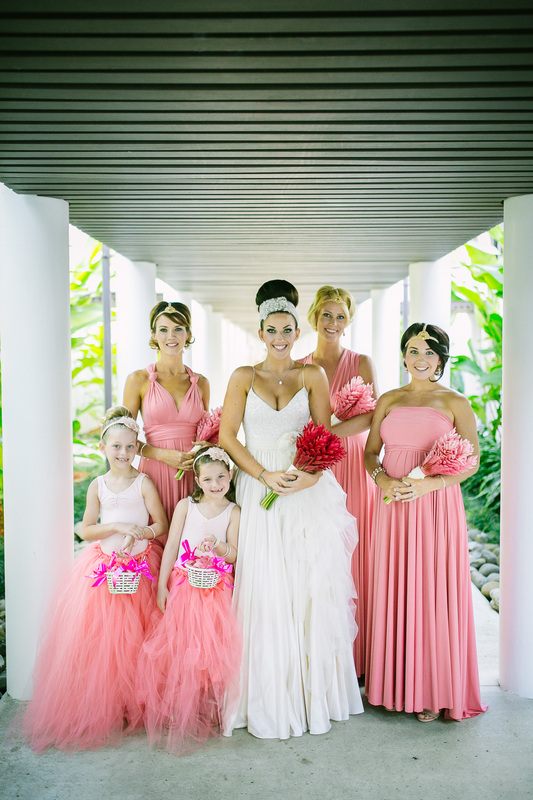 A big thank you to Nadi Bay Photography for the beautiful photos. During the Fiji Tourism Exchange (FTE) we got to meet with all the representatives from the resorts on Taveuni Island. It was fantastic to learn all about your beautiful Island and what it has to offer. 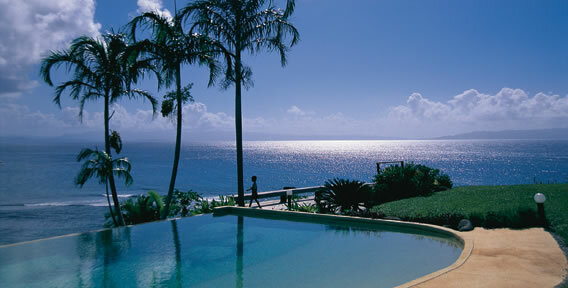 Taveuni is known throughout Fiji as the “Garden Island of Fiji”. It has a beautiful blend of tropical rainforest, reefs, beaches, highlands, coconut plantations and mangroves in a paradise setting. It is a volcanic island with plenty of fertile volcanic soil and is the third largest island in the Fijian group of 332 islands. There are 3 beautiful resorts situated on the island, Paradise Taveuni (Family Resort), Qamea Resort & Spa (Adults Only) and Taveuni Island Resort & Spa (Adults Only). 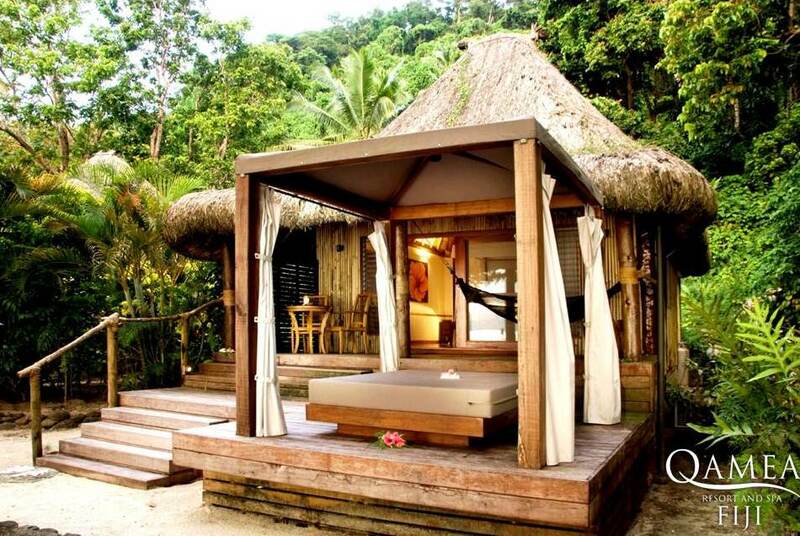 Perfect for a secluded honeymoon with or without kids. 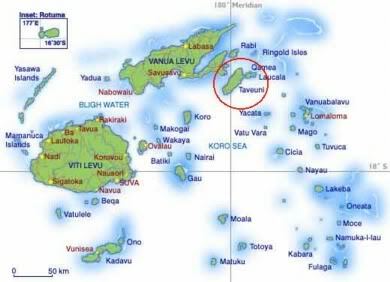 Taveuni Island has some of the best diving spots in the world, rated as one of the top 10 places to dive, and is known as “the soft coral capital of the world” and is home to the amazing Rainbow Reef. This beautiful reef is 30km long and boasts magnificent multi-coloured soft corals, as well as stunning hard corals. The stunning Taveuni Island can be reached by inter-island flights that depart daily from Nadi and Suva International Airports. The connecting flight takes approximately 90 minutes from Nadi or 60 minutes from Suva. 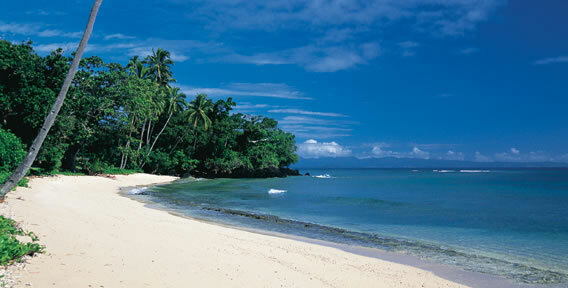 If you wanted to go to a more remote part of Fiji to experience the “Real Fiji” Taveuni is a must. 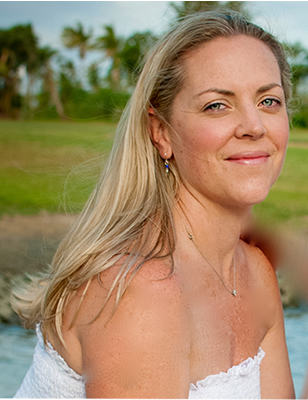 In early May I attended the Fijian Tourism Expo (FTE) and got to meet with lots of wonderful suppliers. 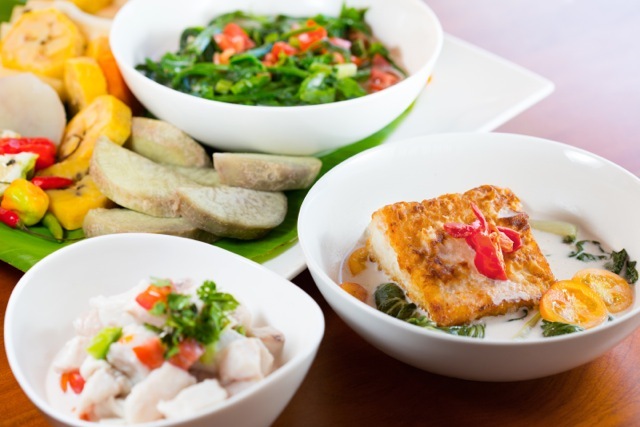 Over the next few weeks I will be featuring a few of these suppliers on the blog and today l’d like to introduce the newly opened Flavours of Fiji Cooking School. 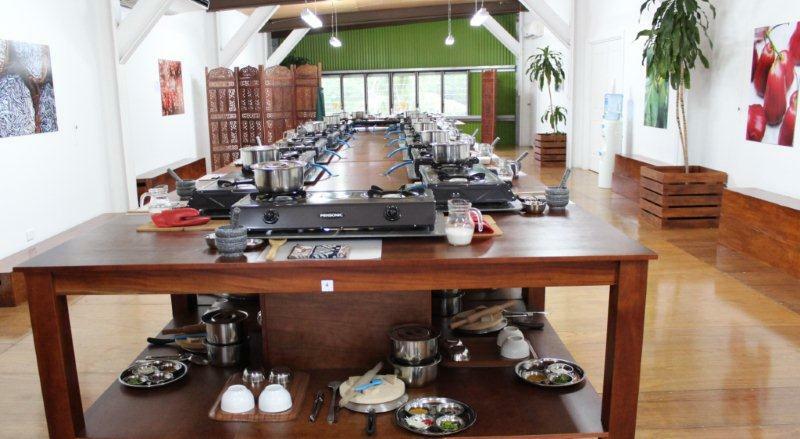 Since opening a year ago, Flavours of Fiji Cooking School has become hugely popular with holiday makers who are taught the art of cooking traditional Fijian cuisine. 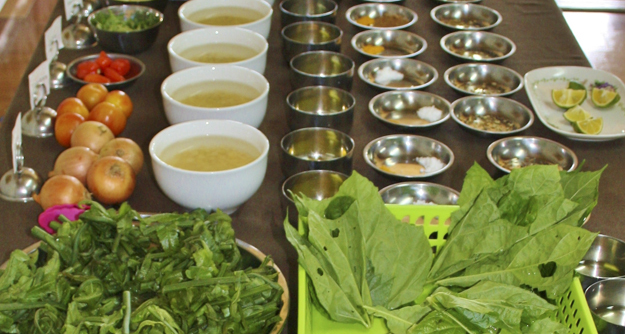 Classes feature a selection of Fijian Feasts, Indian Thali and Tropical Sweets. Classes include a Food Culture Presentation, cooking lesson, lunch, refreshments and take home receipes. 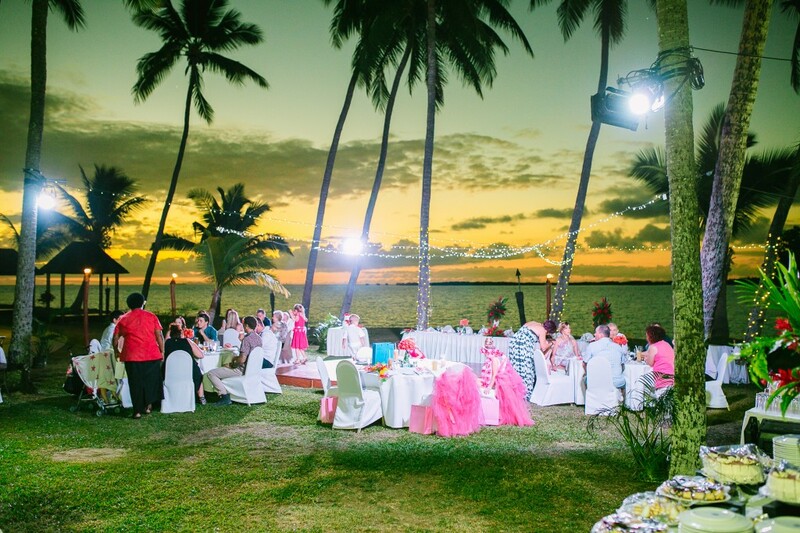 Located on Denarau Island, Flavours of Fiji would be a great place to start a Hens Party and the school can organise the perfect package for your group!